When is writing good enough? I’ve been there, too. Waking up with that dreadful feeling I can’t press Publish yet. Editing endlessly. Wondering what the heck is wrong with my writing. In the early years of my writing career, I felt it was almost impossible to hit that Publish button. So, when do you know your writing is good enough? Let’s think about building a bookcase instead. We can argue about what shade of purple I should paint my shelves. But the fundamental requirement is that my case isn’t wonky so I can put my books on the shelves, without them sliding out. Therefore, I need to be able to read a bookcase blueprint, choose the right wood, measure and saw materials, and create strong joints so my bookcase won’t fall apart. Similarly, when discussing the basics of good writing, we don’t refer to the art of choosing words, structuring sentences and rhythm in writing—that’s like getting the shade of paint right. Instead, writing teachers talk about the 4 basic writing styles—the basic requirements to communicate your ideas, to engage and inspire readers, to sell your products or services. Want to know what these four are? In September 2012, I quit my corporate job. And on my second day of freedom I discussed tax arrangements for my fledgling business with an accountant. The conversation was excruciating. After an hour I was hardly any wiser. This accountant was suffering from the curse of knowledge—a term popularized by Chip and Dan Heath in one of my favorite books: Made to Stick. Most of us suffer from the curse of knowledge in our field of expertise. We forget what it’s like to be a beginner. We forget that oh-so-obvious things aren’t oh-so-obvious to everyone. We use jargon when simple words work better. And worst of all: we talk in abstract terms instead of concrete stories. The curse of knowledge is one of the trickiest challenges we face as writers. Because we don’t realize how poor our explanations are. We read our words through our own expert eyes. Instead of through the eyes of a beginner. So, how do you write for beginners, for people who are less expert than you? Give specific examples to make your advice concrete. VAT registration is voluntary when your annual turnover is under the threshold. As long as your turnover is under £85,000, you can choose whether to register for VAT or not. If your clients are bigger businesses, they may prefer to see you VAT registered as it shows you’re serious, and your VAT registration number will be on all official business communication. But if your clients are smaller or international businesses, then VAT can be a hindrance. So, who do you think your clients will be? Experts think and communicate in abstract terms, so if you’re writing for your peers, go ahead, be abstract and use jargon. But if you write for beginners, illustrate your ideas with concrete examples. All those years ago, I was so happy to quit my job. I remember the feeling of relief. The elation. The sense of freedom. But I also felt insecure. I wanted to start a blog to promote my business but I didn’t see myself as writer nor as a storyteller. 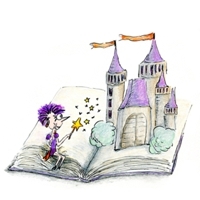 You don’t have to turn yourself into a JK Rowling or Stephen King to tell stories. Keep your stories short and simple. As a kid, I read the book Hidden Persuaders. This account of marketing manipulation frightened and horrified me. Gosh, how I hated marketers! Yet, somehow, I grew up and ended up with a career in marketing. Don’t ask me why or how because I don’t understand it either. I’ve kept my anti-marketing spirit alive. I detest pushiness. My website is free from popups and I don’t send you a string of sales emails as soon as you join my email list. I’ve learned that we can be persuasive, without being pushy. We can be honest, and gently nudge people to buy. This is the kind of selling that suits me. And I can confirm it works, when selling ideas in blog posts and when writing copy to sell products—my last copywriting course got sold out in under 15 minutes. Sleaze-free. In my courses, I often hear people sigh that their writing feels boring. Why does their writing sound like everyone else? Stories and concrete examples are your go-to tools, breathing life into your writing. And then check: Have you painted a vivid picture? Can readers imagine how implementing your tips will help them and solve their problems? Can they see what they’ll learn in your course and how it’ll make their life better? Can they picture what it’ll be like to work with you? Four basic writing styles exist: expository (or explanatory), narrative, persuasive, and descriptive writing. Imagine wanting to build a bookcase. To make a functional bookcase, you need to understand how to read its blueprint, choose the right wood, measure and saw materials, and create strong joints so your bookcase won’t fall apart. Similarly, good writing requires you to explain with clarity, weave stories into your writing, persuade without being pushy, and describe anything with oodles of personality. 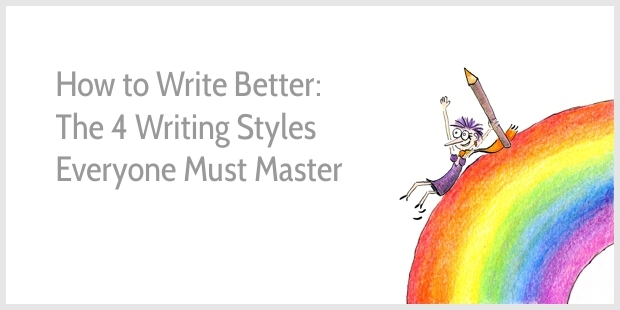 Almost any piece of writing requires all four writing styles. 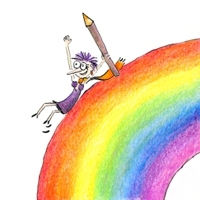 A good blog post may comprise an explanation (e.g., what are the 4 skills required), illustrated with concrete examples and mini-stories, described with flair, and written to fulfill one single purpose—to inspire or implement a tip. When I start writing, my ideas are often a little hazy. Writing my ideas down forces logic onto my thoughts. And to evaluate whether my writing is good enough, I step into the shoes of my favorite reader. I ask myself, does my explanation makes sense to her? Does my story engage her? Have I painted vivid pictures? And when she’s finished reading, does she feel inspired to write? 🤩 Thank you for that 4 point breakdown that will help me weave tiny stories – your step by step example using the first article section was super-helpful. Story telling often feels ‘too hard’ but this method takes most the mystery out of the process. Such a timely post Henneke – I’ve been struggling – as a copywriter – to write my own website content! I’m almost there and today/tomorrow I really have got to knuckle down and crack it. Everything you’ve said in the post provides me with hooks to hang the writing on. I do have to stop thinking it has to be perfect. Good enough is good enough. And ANYTHING up and live is better than a site under maintenance! Your question: “And when she’s finished reading, does she feel inspired to write?” The answer is yes. And I appreciate your yes to the last question. Thank you, Sue! Another great piece of writing advice. I think I have overcome the curse of knowledge. The others are still work in progress. It helps though to know what to work on. Thanks. I feel that this is one of the challenges with writing… there’s always something that feels like work in progress. Happy writing, Daniel! I am in your boat! Thank you for sharing! So how do you feel about Facebook Live posts? My new web designer is strongly suggesting them. I don’t like the idea because when I get a notification someone is “live”, and many times several emails announcing it, I delete!! I have no opinion at all about Facebook Live as I don’t have a Facebook account. I know a lot of people use Facebook Live to promote their businesses, but I’ve managed to build my business without Facebook. I’ve never had an account. I’m sorry I can’t help with this! Thank you so much for your posts, Henneke! 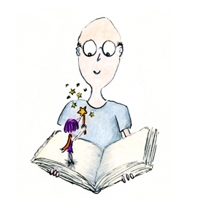 I’m looking forward to your course on Enchanting Business Blogging to become available. It feels like I’m far too slow with reformatting my courses! But I like to do things right. I’m still hoping to have the revised Enchanting Business Blogging course ready early Fall. I like your point. I find that often the problem with so-so writing is that the underlying ideas remains fuzzy. Writing is good to make this fuzziness clearer, but it requires hard work and deep thinking. Thank you for these tips! I loved how you mentioned putting yourself in the shoes of your favorite reader. I wondered if you ever send drafts to specific readers for feedback? Also, do you do most of your own copy editing or do you have a go-to editor? When I just started blogging, I have asked fellow-bloggers a few times for feedback on posts I was unsure of. But these weren’t really my ideal readers. I think I learn most about my ideal readers in the comment section, in my inbox, and, above all, in my course forums. I do my own copy-editing but use a proofreader for my books and courses (not for blog posts). Editing is my favorite writing phase. This is the most motivating quote about writing, Henneke. I’ll save it. 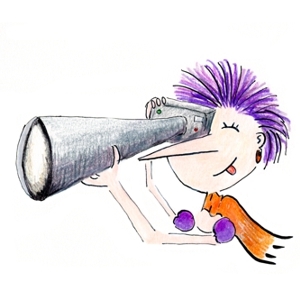 Hi Henneke, I must say I love reading your tips on writing it is packed full of helpful tips and answers I have been looking for thank you, wishing you the best. Thank you for your generous compliment, Steve. Happy writing! Henneke, you’re always on point with what I’m going through! I just wrote two articles, I let them bake for a day or two and then revisit, tinkering until they are ready to come out of the oven;-) this will def help!! Agree with you about not being pushy, so many blogs start bombarding me with sales/daily emails…you don’t. I know when I see your email, its Henneke time 😉 I set aside about 5 minutes bc you help me improve my writing, thank you. Agree with you about marketing as well, I also have a degree in Marketing and don’t believe in it, lol…you can stamp Michael Jordan on shoes all day, but it won’t make me buy them. I fell in love with marketing bc as an entrepreneur, I enjoy bringing a new idea to life and it requires marketing, maybe that’s why you did as well? As writers, we bring ideas to life with each article we write. I can’t stand a corporate marketing dept, but I love inventing new products or services, and writing is the cheapest form of entrepreneurship, you only need a pen and paper to bring your ideas to life. Thank you as always, and BTW, what graphics package do you use to do your character? “Somewhere, under the rainbow”….. I also started at the product side, and I enjoyed the mix of consumer research, technical development, design and project management. (Even though, looking back, project management is really not my thing.) Much later, I started doing marketing communications, too, and that’s how I discovered content marketing which kindled an initial interest in writing. Two things … one is that I LOVE rainbows! I grew up on Rainbow Avenue in London, Canada .. and my favourite song is Somewhere Over the Rainbow. I love rainbows, too. When I had quit my job and when I drove to my last day at the office, there was a rainbow just above the motorway—straight in front of me. It was so unusual, and I took it as a sign that I had made the right decision (since proven amply). And yes, to the beginner’s mindset. This is such a good principle to practice. I laughed reading this because I often have that experience at the accountant. Ha! Great example of expert blindness! Another side effect of expert blindness is when we think our topics aren’t good enough because they are ‘too simple’. Great post! Yes, what a good point! I hadn’t thought about that and it made me realize I’ve stopped worrying about this. Topics can never be too simple. It’s just a matter of writing about them in an engaging way. The last concept of how writing clears your head of fuzzy or hazy thinking reminds of Hunter S. Thompson. He used to say that’s how he’d wrap his head around things he wanted to understand better. He would sit down and write about something until he could at least express his views on it to the world. I had the pleasure of meeting him in person the evening of the day I read “Fear and Loathing in Las Vegas: A Savage Journey to the Heart of the American Dream, “, cover to cover. My question to him on that book . How much of it was real? I mostly outline to get an idea of what the bookcase will look like. I used to write a few bullet points on paper, but now it’s often just an outline in my mind—having an idea of what I want to cover. But I don’t always stick to my outline and occasionally, I just start writing and see where I end up. Although I’m a trained writer and published, I still approach writing the way someone goes near a dangerous reptile. Your article has told me some of the things I’ve been hearing. Things like infuse some story-telling into your blog posts. I think you’re going to make me a better writer now. Sometimes, we need to hear things a couple of times before we can take action. 🙂 Happy writing, Akoli. And thank you for stopping by. I woke up this morning after a night of tossing and turning over how I thought I was a good writer, only to write the first draft of copy for a client yesterday and it was appalling! So, seeing this post first up today was very encouraging! Thank you, and most of all, thank you for the examples. I read a lot of blog posts and articles that advise you on what you should do, but don’t give even the simplest of examples. The bookshelf and the accountant were great! Is this comment too lengthy? could I have been more succinct? Do I make sense? Hahaha.. this is what my brain is like even writing this comment. Like you, I question and edit everything. Also comments and simple emails. Nothing gets sent in one go. Oh, just reading your blog or even hearing you talk, I do hear you, has given me a lift. Being stuck in a “not wanting to write anything” feeling, even being comfortable with that fact has sort of frightened me a bit, not enough to start writing again. So I wanted to hear that ever positive and forward sounding voice in my self, thinking of you when I first started. I was unbelievably ignorant then concerning the writing business. Thank you for hopping in and giving me contact with you, thinking you might have felt that way more than once. Thank you so much for your lovely comment, Annamarie. One of the things I’ve learned is that I don’t need to feel like writing and I don’t need to feel motivated either, I can just sit at my desk and start small. Once I get started, I usually get motivated and feel like writing. It’s most difficult when I don’t know what to write next so I try to think about that a day earlier, and then it becomes easier to start writing the next day. I so appreciate you’ve kept reading my blog and are stopping by from time to time. Thank you. As per usual, an excellent summary of your subject, Henneke. You make your points very well and you are always interesting. I learnt a long time ago that in teaching, speaking and probably writing too, that ‘if it isn’t interesting it won’t be informative’. I receive around 20 – 30 marketing emails a day because I stupidly signed up to random things. About 99% of them go straight to the trash. But not yours, every time I see your name pop up, I instantly open it and devour each word faster than a pisshead on a pizza. You have never let me down, your content is gold, I can’t wait to sign up to your next course. Another great blog post and you always seem to know just where I’m struggling. Thank you for sharing your gifts with the world and thank you for confirming that marketing doesn’t equal sleazie. No sleaze required! I try to stay true to my own values, and won’t market in a way I don’t like to be marketed to. It’s possible. Thank you for stopping by, Karin! Always on a look out to your new blog post. Your copywriting course was wow!!! Thanks for giving us your all, Henneke. Thanks so much, Etuken. I think you mean the Write It, Don’t Fight It course? I’m glad you enjoyed it! Only few blog posts I read all the way through. Yours is one them. Takeaway: rise above the curse of knowledge and make your writing simple to read and easy to digest. Yep, that’s an excellent take-away. And thank you for your compliment, Adnan. I *do* feel inspired to write. Thanks Henneke. Thank you, Sandra. Sometimes it can feel reassuring to know that you got this already, right? Happy writing! Not a bad blogpost at all. In fact, makes a lot of sense. Thank you. Thank you, Ton. I’m glad it makes a lot of sense 🙂 Happy writing! Hi Henneke, I love how your personality shines through your writing in a way that makes me feel like I’m speaking to you. Thanks for all your good advice! The Curse makes me think of Einstein’s advice; if you cannot explain the concept to a 5 year old you do not understand the concept yourself. I write simple, clear, to the point posts. Not much blogging-speak at all and yes, I do chuckle at internet marketing speak LOL. Einstein was a wise man! In terms of blogging-speak… you’d be surprised how many people have never heard of WordPress or don’t know what it is. I remember seeing some stats a few years ago. It was an eye-opener. Even the term blog isn’t as well-known as one might think. I know this might not be relevant as they might not be the people you write for. But sometimes it strikes me how little aware I am of the bubble I’m living in. Thank you, this is entertaining and useful! I keep telling myself to tell more stories in my blog posts and spitting words out staccato style. I guess I have to rewrite until I have a beautiful story full of “gleaming details,” eh? I love the idea of the soft sell. I loathe pushy, it makes me feel icky. I want my readers to trust me and be happy to see me light up their inboxes, not cringe or twitch when my name pops up. Now I feel like writing some more even though I’m done for the day! Yes, storytelling really works. Go for it! And that knowledge curse is stubborn. I got to remind myself from time to time, too. Couldn’t agree more with you! This why I believe in elegant marketing. We should educate, connect and inspire. Not sell. It’s key to communicate our value with flair, infused with our authentic self (personality, purpose and values), always connected to our clients aspirations, dreams and needs. This will help to attract effortlessly the right clients without hustling, hence sales will just be a byproduct. Thank you for stopping by, Virginia! I’m glad you’re finding my blog useful, Saieda. Happy blogging! In my country Paypal is not operative, what should I do? You can pay with credit card for any of my books or courses.